Disco fashion had a style all its own. Everyday clothing in the 1970's would not work for a festive night at a disco club. Instead, men and women both wore gaudy materials and daring styles. 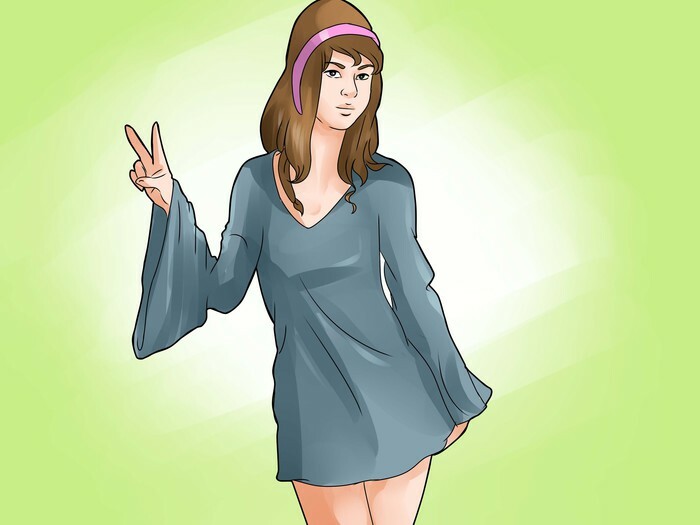 If attending a disco party, look the part by throwing on flared clothing that reflects light well. Women’s disco fashion included both short, revealing clothes and long outfits that covered nearly everything. Choose the style you feel most comfortable with. 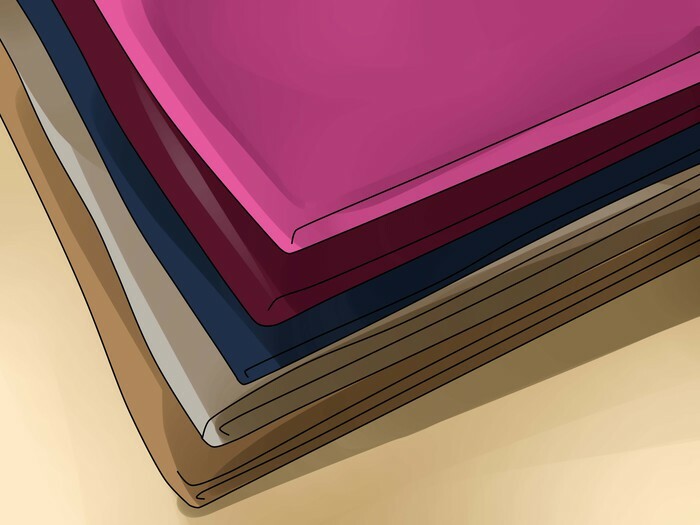 Select the right fabrics. Disco clothing was made of stretchy, shiny material that readily reflected the bright lights of a disco club. Look for spandex, lycra, velour, and synthetic polyester. Also consider pieces heavily adorned in sparkly sequins or gold lame. Try on a mini-skirt or mini-dress. Midi-skirts, which came up to the mid-calf, were also popular in the 1970's. 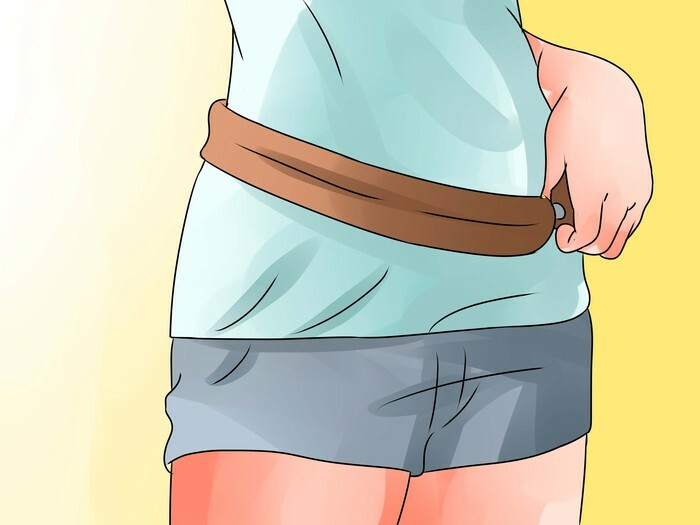 Look for a design that flares out slightly starting at the waist. The skirt can have pleats, but does not need them. If you decide to go with a mini-dress, look for one with a halter style top. 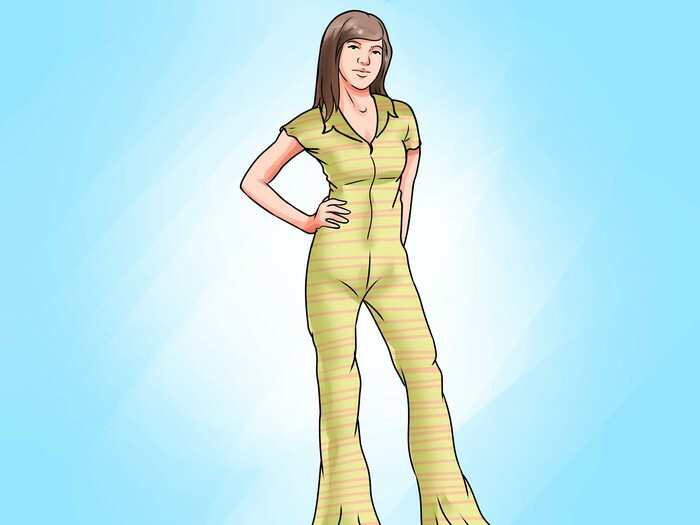 Look for a 1970’s style catsuit. The catsuit was a type of one-piece bodysuit often made of spandex. Typically, the legs were fitted at the thigh and flared out at the knee. The suit could have sleeves that flared out, starting at the elbow, or it could be sleeveless. Many catsuits also featured a halter top or deep v-neck. Wear hot pants. Hot pants in the 1970's were daringly short pants that covered the rear, but barely covered any leg. The pants clung tightly to a woman's legs and did not flare out. Opt for a pair of bell bottoms. Not every woman exposed so much of her leg when she went to the disco. 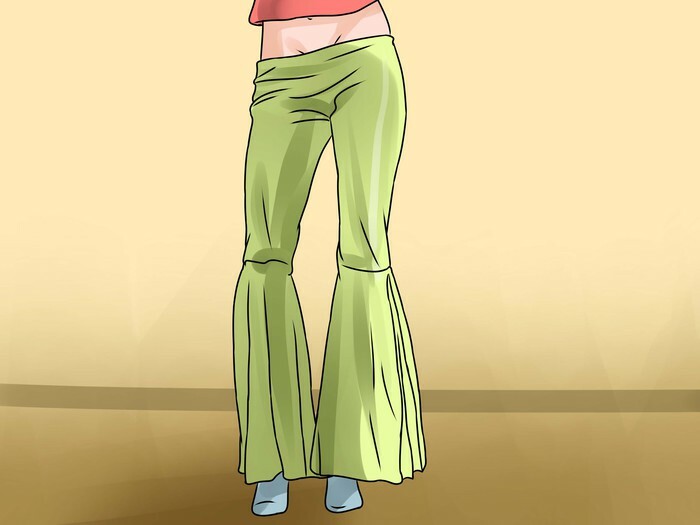 Many stuck with bell bottoms. 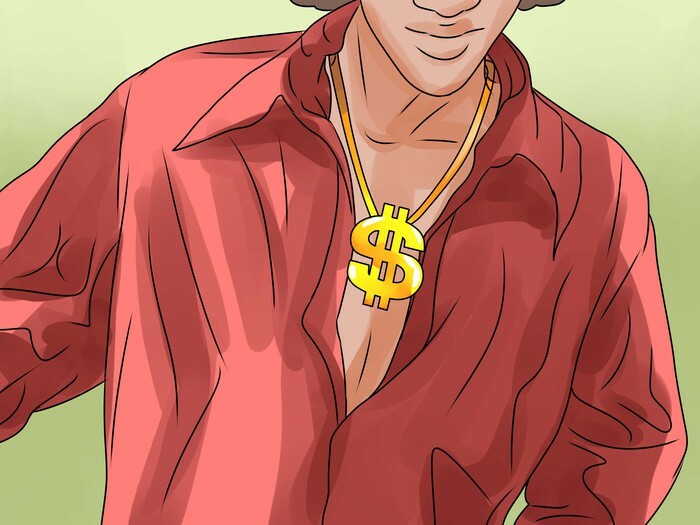 You should still look for bell bottoms made of shiny, clingy material, however. 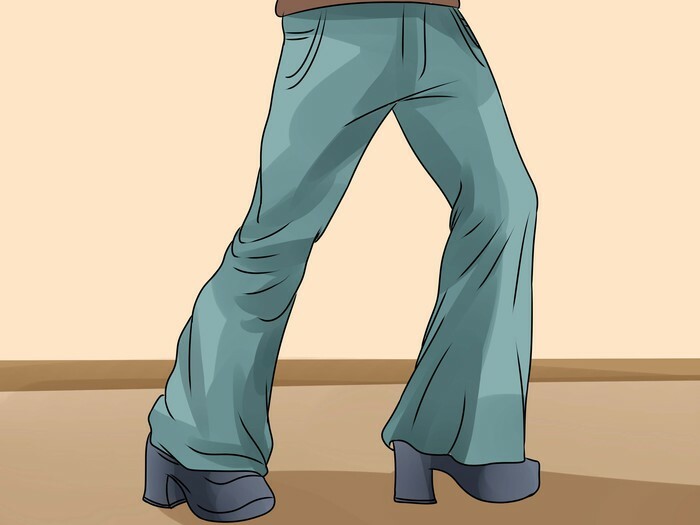 Avoid bell bottom jeans, since these would have been too casual to wear to a disco. Choose a shiny, clingy top. Popular styles for the disco included halter and bandeau. For a less revealing option that covers your arms, consider a tight, long-sleeve top with sleeves that flare out from the elbow. Look for tops adorned in sequins, metallic leopard print, or other flashy prints. Pull out the platform shoes. Look for a pair with a 1 to 2” sole. 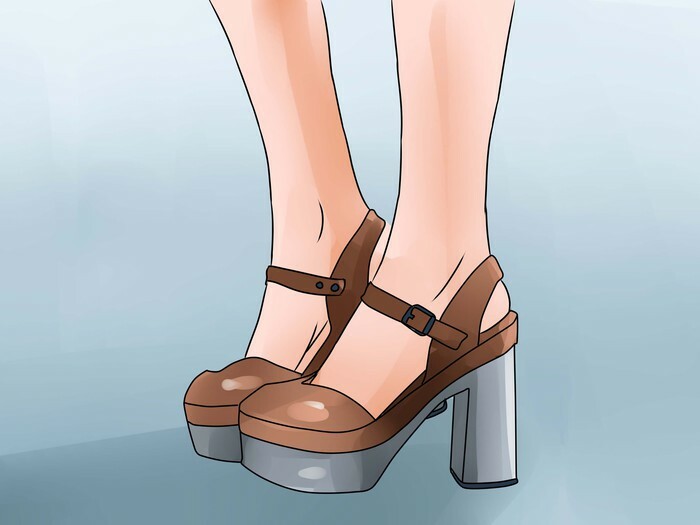 Authentically, women could wear platforms up to high, but these could prove hazardous to individuals unaccustomed to wearing such shoes. Look for bright colors or metallic patterns. Also stick with closed-toe designs, since these were more common to the time period. Wear your hair straight and long. 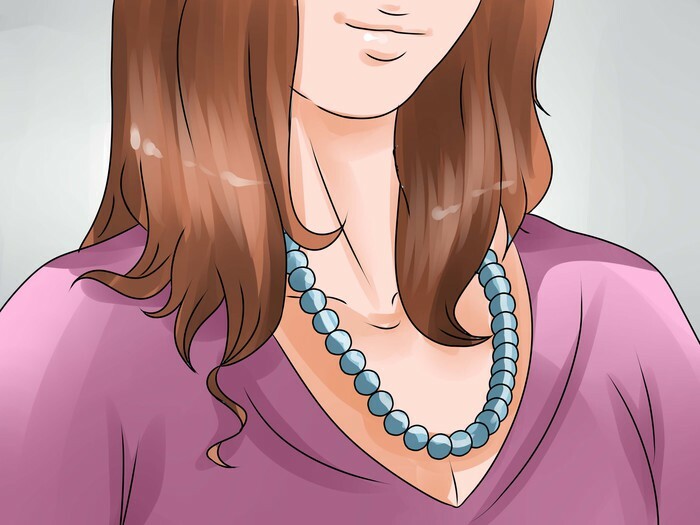 Use a hair straightener to flatten your hair as much as possible, and consider adding temporary extensions if your hair is short. Alternatively, add volume to your hair. While straight hair was slightly more common in the 1970's, large, wavy curls were also in style. 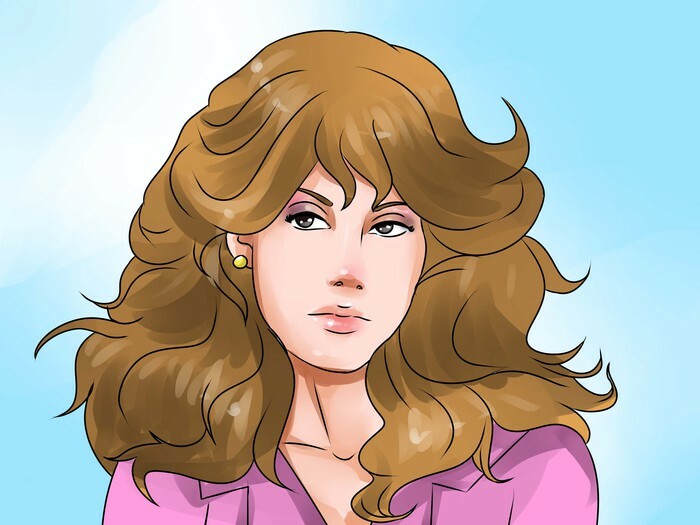 Give yourself voluminous "Farrah Fawcett" curls if your hair holds a curl well. 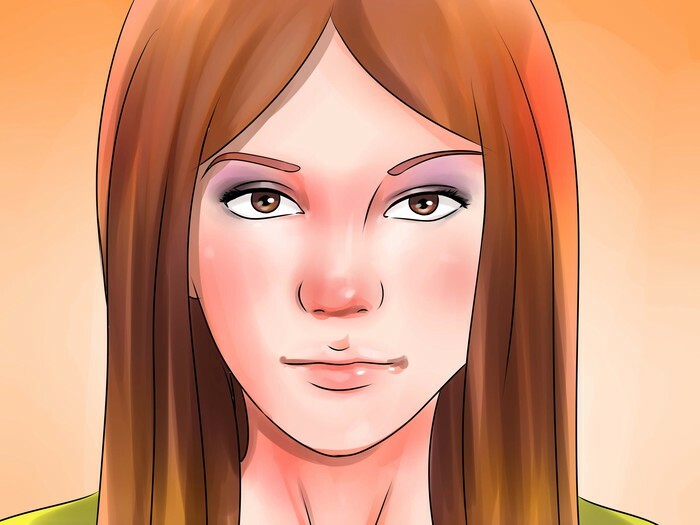 Use make-up to highlight your eyes. Use dark eyeliner to trace your lids. Go with a color like black, brown, purple, gray or blue. Stay away from bright colors. Apply a liquid eyeshadow. Look for a darker color that really makes your eyes stand out. Wrap things up with shiny jewelry. Think chunky beaded bracelets and necklaces or medallion pendants. Look for shiny pieces that reflect light well. 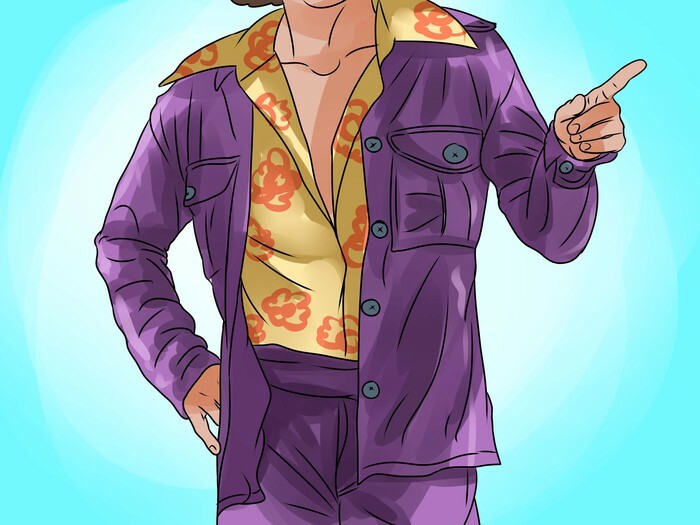 Men’s disco fashion had fewer variations than women’s. You do, however, have the option of going with or without a full suit. Mind your materials. Women weren’t the only ones wearing shiny, clingy fabrics. Men also wore outfits made of spandex, lycra, and synthetic polyester for the purpose of molding their bodies. Satin, sequins, and other reflective materials were especially important for the sake of reflecting light. Wear an open-necked button-down shirt. Long sleeves work best. Choose one in a bright color, and look for one made of glossy fabric. Leave the top few buttons undone, exposing your chest. You may even consider popping the collar up, but this is only optional. Find a pair of bell bottoms or flared trousers. 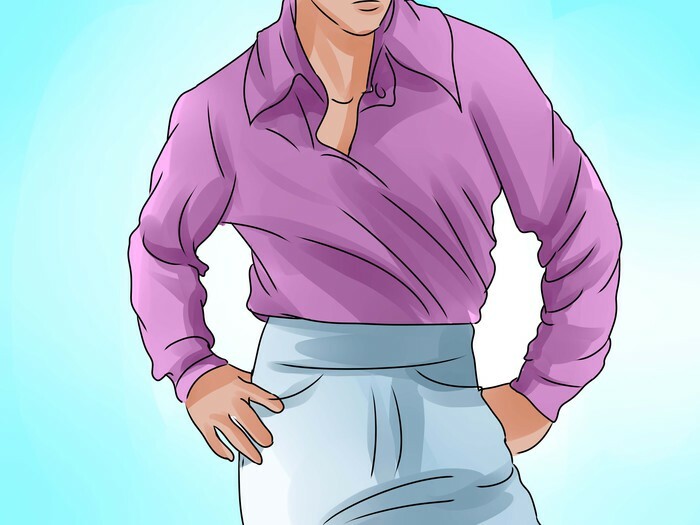 Look for trousers that flare out, starting at the knee. Avoid jeans, and opt for satin or polyester, instead. Throw on an optional suit jacket. If possible, find a jacket that comes as part of a three-piece suit, complete with pants and a vest. Otherwise, look for a jacket with reflective elements that closely matches the fabric and color of your trousers. The sleeves should be straight and buttoned at the ends. Don a pair of platform shoes. Look for a pair with relatively low soles. 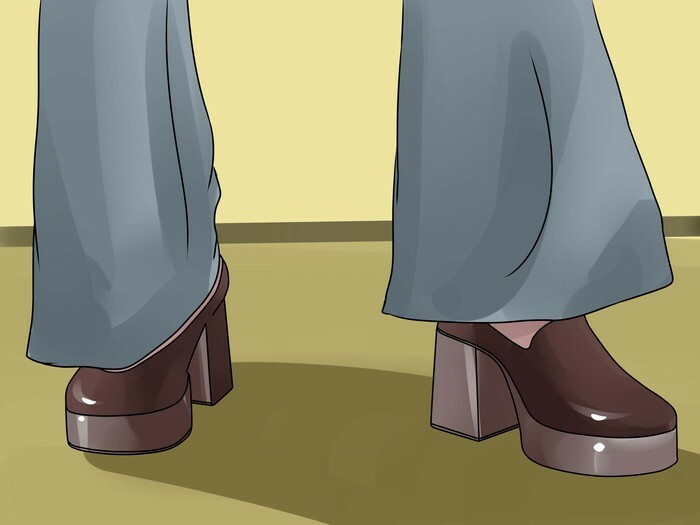 While 1970's disco fashion permitted men to wear high platforms with 4” soles, most modern day men would be unaccustomed to such height. Stick with lower soles to help prevent any accidents and to keep your feet from getting too sore. Add volume to your hair. Use a gel or other hair care product designed to add volume and lift to your hair. 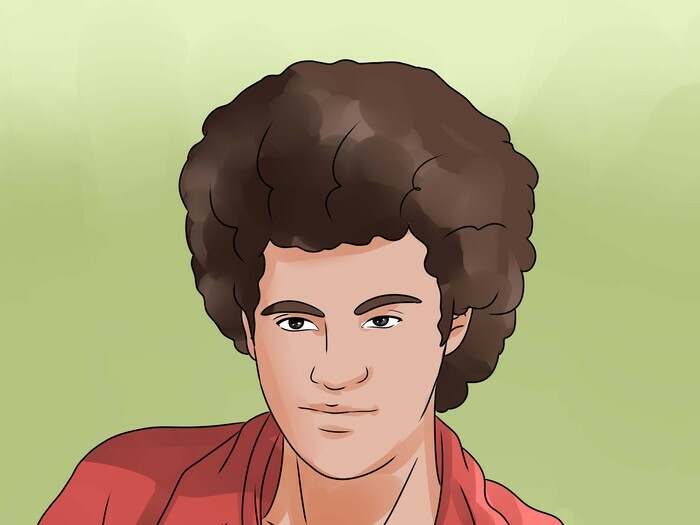 Alternatively, you have enough hair and the right hair texture, you could try styling it into an Afro. Accessorize with a shiny medallion necklace. Men did not necessarily wear a ton of jewelry, but they often wore some. Go with a long medallion necklace. Choose one with a shiny pendant that rests within your open shirt, on your bare chest. Look in costume shops, party shops, or online stores to get an idea of the sorts of disco costumes professionally manufactured. You may buy a complete costume from one of these sources, or you may simply use their product photos to get an idea of what sort of style to create. Consider buying a wig for the party for a no-fuss hair alternative. 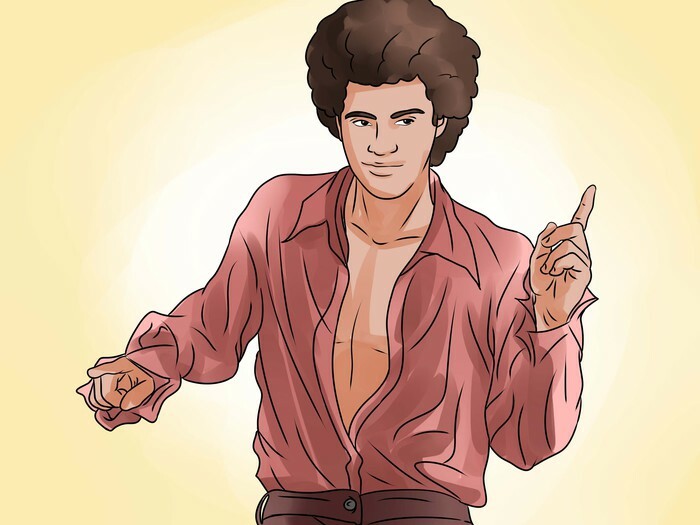 Men should look for an Afro style wig. 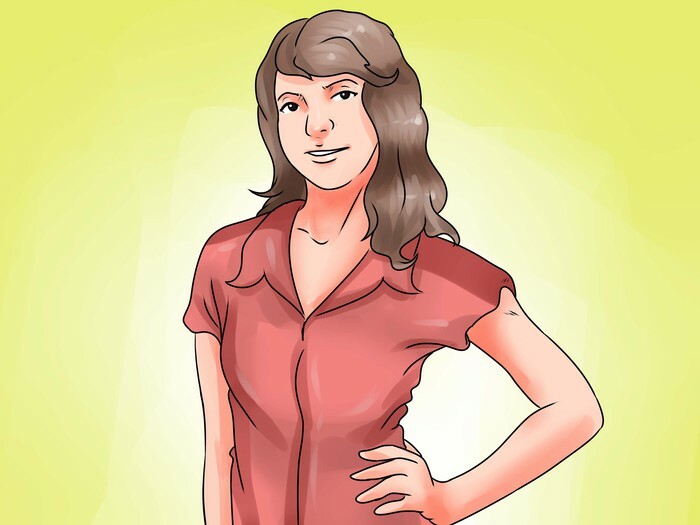 Women can look for one in a long, straight style, or they may also search out an Afro wig. Wear what your comfy in like jeans and a t-shirt match your personality.